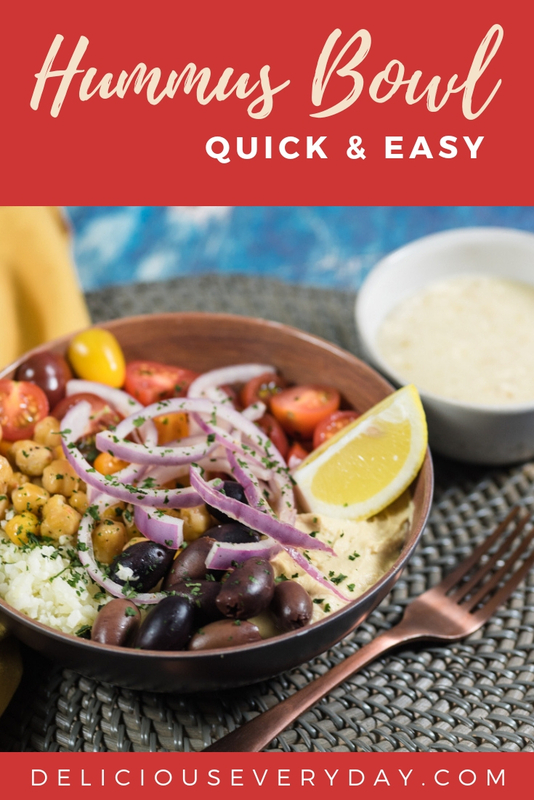 This quick and easy hummus bowl is packed with big, bold flavors from roasted chickpeas, fresh tomatoes, Kalamata olives, and creamy hummus. Plus, it’s kept nice and light with riced cauliflower. 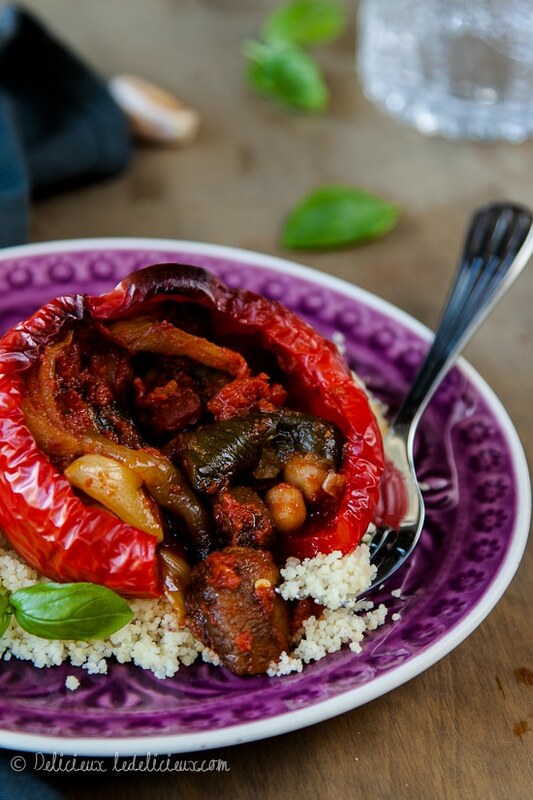 It’s a perfect vegan-friendly weeknight meal. Life has been so busy lately, it’s hard to keep up. 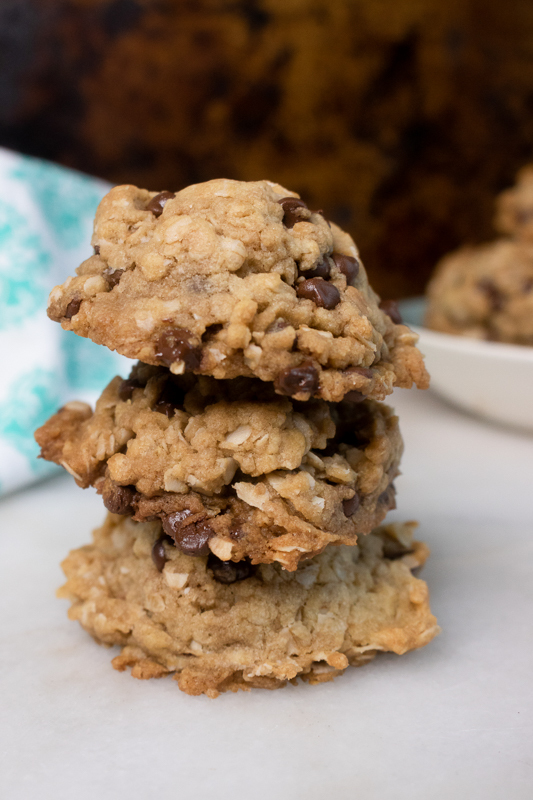 So, I’ve been creating more and more recipes that are perfectly suited for busy weeknight meals. And this one just may be my new favorite. These hummus bowls are super flavorful, but also ridiculously easy. It takes less than 30 minutes to pull this meal together – and most of that time is simply waiting for the chickpeas to roast! 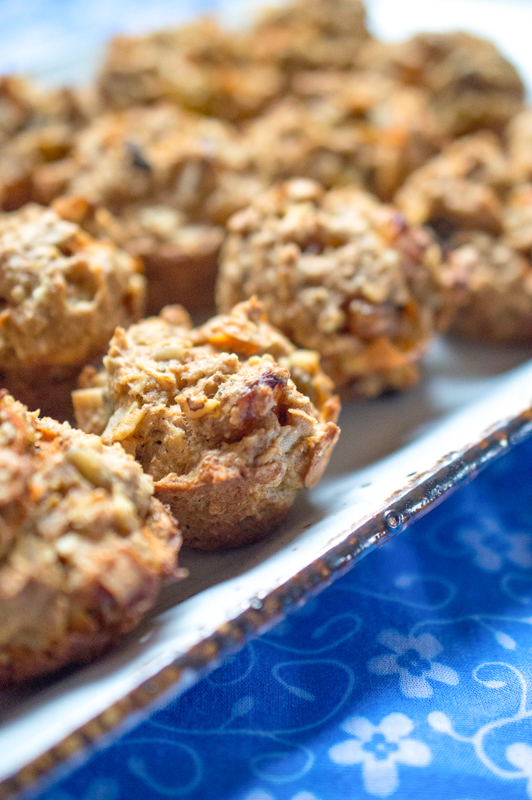 So, if you need a simple, weeknight option, you’ll want to give this one a try. What’s in a hummus bowl? There are just two required ingredients for my hummus bowls – hummus (duh!) and riced cauliflower. 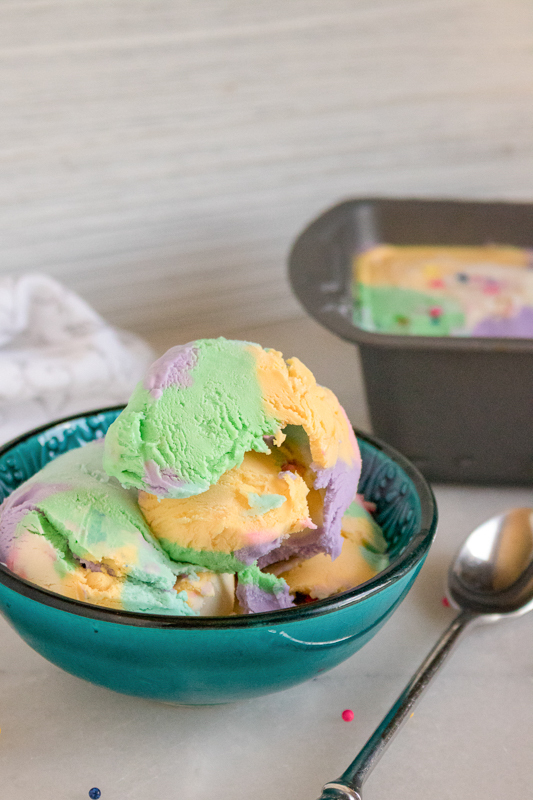 After that, you can load up the bowl with your favorite toppings. 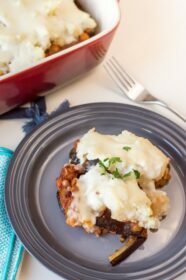 I use riced cauliflower for a lighter alternative to traditional rice. 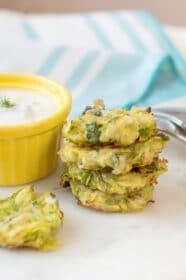 For this recipe, I used the Green Giant Riced Veggies Cauliflower, which is a staple in our house! I always keep a few bags in the freezer. When we have a busy night, this riced cauliflower pairs perfectly with a quick veggie stir fry or slow cooker chili. You can find it in the frozen foods section at Publix. For the hummus in my hummus bowls, I used Sabra Classic Hummus. This is another regular in my fridge. My favorite flavor is their Roasted Red Pepper hummus. But for these bowls, I used the Classic since I would be adding tons of flavor with all my toppings! You can find Sabra Hummus in the deli section at Publix – it’s usually in the case with the fancy cheeses. If you haven’t tried either of these products yet, now is a great time. They’re both on sale as part of the Cool Foods promotion at Publix (my favorite grocery store!). You can save $1 off any 10 oz Sabra Hummus. And the Green Giants Riced Veggies are on sale for just $2.59 in the 12 oz bags. You can check out this site for a full list of sale items. 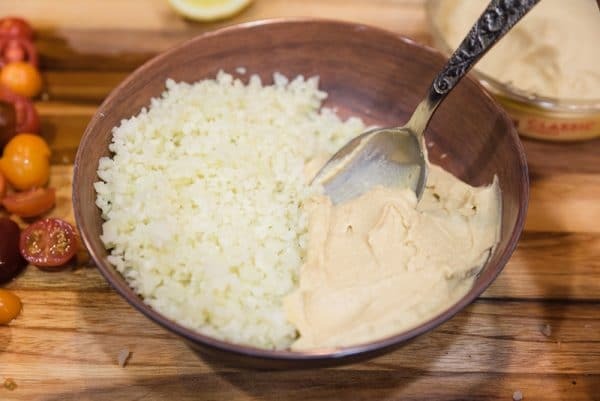 After adding your riced cauliflower and hummus, you can top your hummus bowl with just about anything you like. For this recipe, we’ll use roasted chickpeas, tangy Kalamata olives, crunchy red onions, and juicy tomatoes. Yum. Start off by roasting the chickpeas. Rinse and drain a can of chickpeas, and then dry them with a paper towel. Drying the chickpeas first will let them get much crispier in the oven. Next, drizzle with a bit of olive oil and sprinkle with salt and pepper. Line a baking sheet with a piece of parchment paper, and roast the chickpeas in the oven at 375 degrees Fahrenheit for about 20 minutes. While the chickpeas are roasting, you can prepare the rest of your hummus bowl toppings. Thinly slice a red onion, and toss it with a bit of white vinegar, salt and pepper. Set this aside to marinate while you prepare everything else. 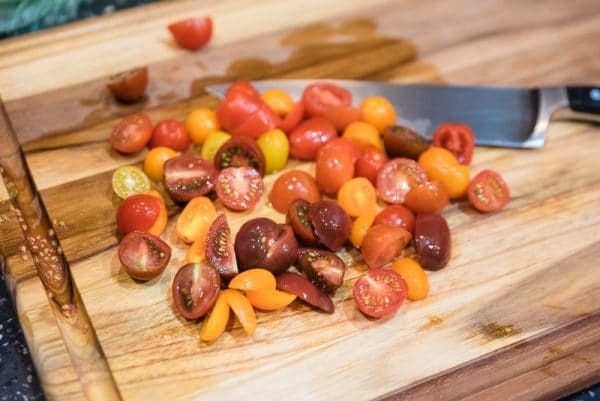 Chop some fresh tomatoes as well. You can use any variety you like, but I love these colorful cherry tomatoes. Aren’t they pretty? Then prep your riced cauliflower. The Green Giant Riced Cauliflower cooks up in just a few minutes in the microwave. Super easy! And as soon as your chickpeas are ready, you can start assembling the hummus bowls. Layer each serving bowl with a big helping of cauliflower rice and a generous scoop of hummus. Then start layering on your toppings! Load it up with the roasted chickpeas, sliced red onions, tomatoes, and Kalamata olives. Top off the hummus bowl with a sprinkle of cilantro and a drizzle of Greek dressing. Serve with a fresh wedge of lemon for a bright burst of flavor. Try mixing up the flavors with a variety of toppings. Artichoke hearts, sun dried tomatoes, kale chips, the combinations are endless. Likewise, try experimenting with your favorite hummus flavors as well. Sabra makes some amazing flavors like Roasted Red Pepper, Jalapeño, and Lemon Twist. 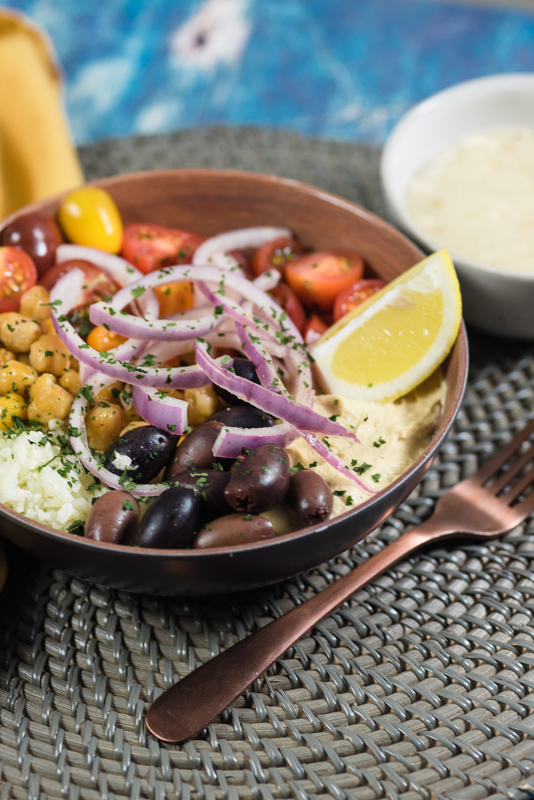 I made this Greek-inspired hummus bowl with a store-bought Greek dressing (vegan-friendly), to keep the recipe quick and easy. But you can whip up a super simple homemade Greek dressing too. Just combine 1/3 cup olive oil, ¼ cup red wine vinegar, 2 cloves minced garlic, juice of one lemon, 1 tsp Dijon mustard, 1/2 tsp oregano, 1/2 tsp basil, salt, and pepper. Try mixing things up by replacing the riced cauliflower with another riced veggie base as well. 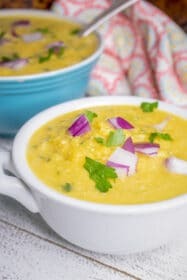 Green Giant makes a riced butternut squash that would be totally delicious in a hummus bowl! For another time saver, you can use freeze-dried cilantro to garnish rather than fresh. 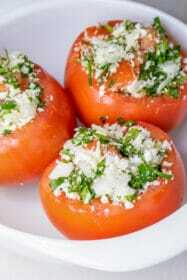 It’s a great time saver and lasts a long time in the fridge compared to fresh cilantro, which spoils quickly. And of course, don’t forget to check out the Cool Foods promotion at Publix. 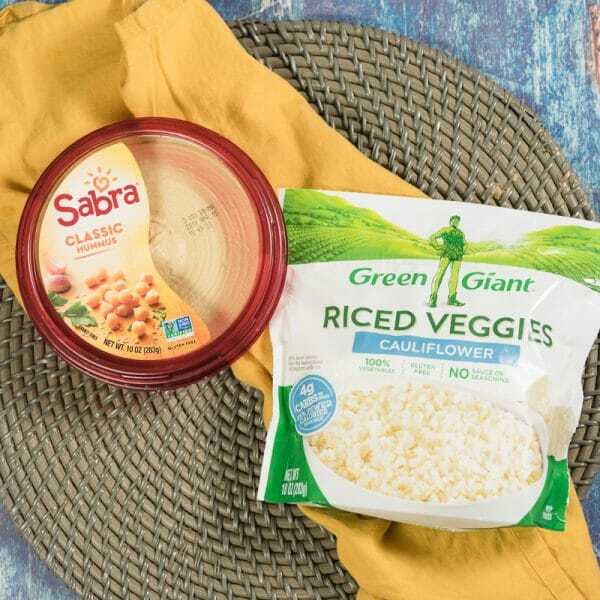 You can save on Sabra, Green Giant, and all kinds of other delicious favorites. Check out the full promotion details here. Have fun – and happy cooking! 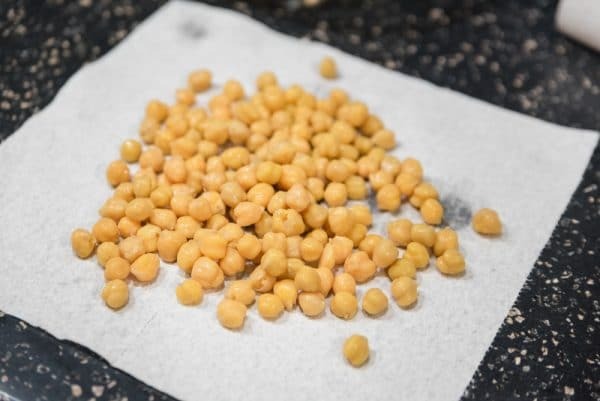 After rinsing and draining chickpeas, dry them with a paper towel. 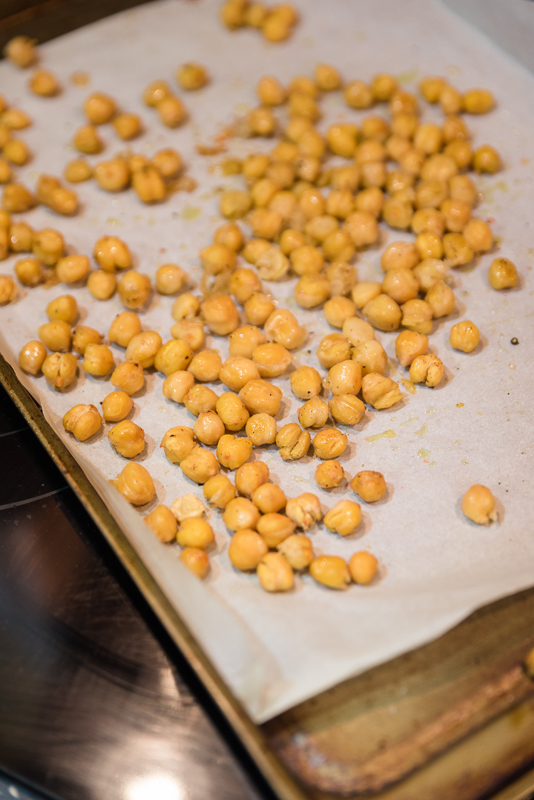 Line a baking sheet with parchment paper and arrange chickpeas in a single layer. Drizzle with 1 tsp olive oil, salt, and pepper. Toss to coat. Roast in oven for 20 minutes, or until slightly crispy. 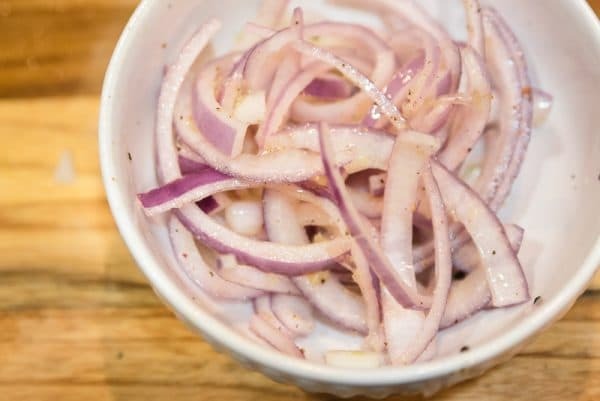 Toss the sliced red onion in a small bowl with 2 tsp white vinegar, 1 tsp olive oil, salt, and pepper. Set aside to marinate. Prepare the riced cauliflower according to package directions, and set aside. When chickpeas are done roasting, assemble the hummus bowls. Divide the riced cauliflower between two serving bowls. 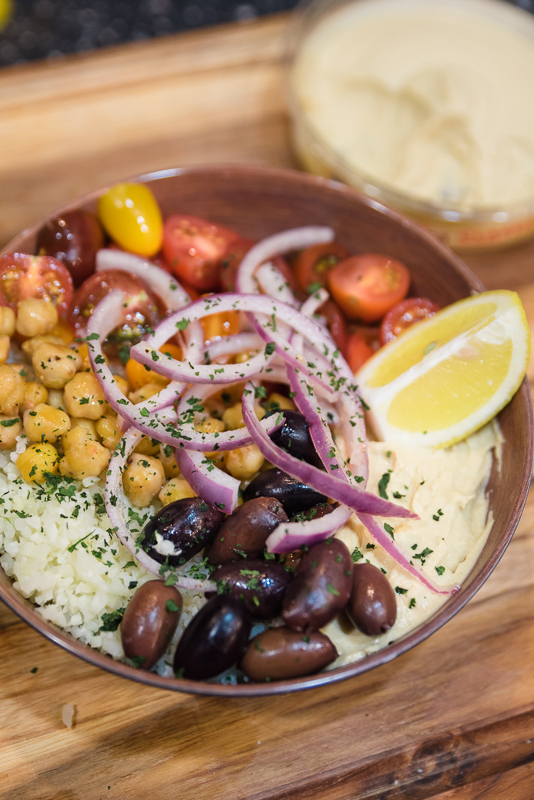 Top each serving bowl with hummus, roasted chickpeas, kalamata olives, and red onion. Drizzle each hummus bowl with 2 tbsp of Greek dressing. Garnish with fresh cilantro and a slice of lemon, if desired.